In order to integrate with IoT, blockchain developers must treat each device as a unique user of the blockchain; as such, every piece of data transmitted from the IoT device is processed by the blockchain network as a transaction. For instance, if there were a blockchain-based home security system and every homeowner connected all of their devices to this blockchain network, each piece of data transmitted by a device would go through the blockchain network as a transaction. If someone was to attempt to break in, the intrusion caught on CCTV or by a sensor would generate data that would then be recorded on the blockchain to notify the owners in real time. In theory, such a system could work. But, only if the size of the data or the information provided by the home security system to its owners is limited. 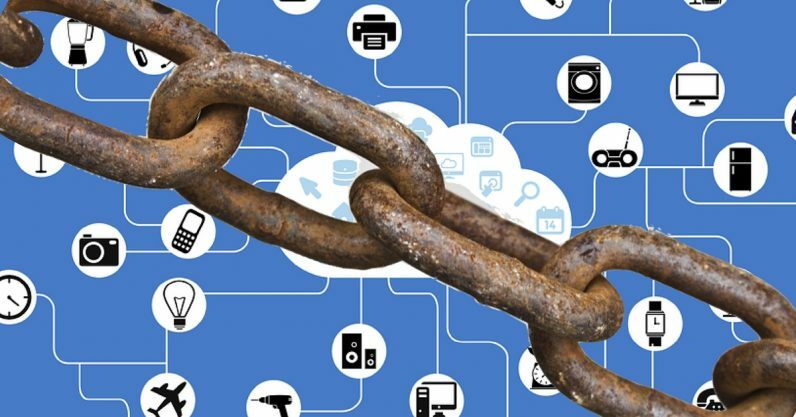 For this sort of system to be deployed commercially, the scale of the blockchain-based IoT network would have to increase drastically in order to support hundreds of thousands of users. This would require the system to manage tens of thousands of data points per second, all of the which would need to go through the blockchain. As Ethereum co-founder Vitalik Buterin explained at the 3rd Annual Global Blockchain Summit hosted by Wanxiang Group, no public blockchain network can handle this. “If you want to get more scalability, you can try to optimize the chain a bit, you can try to go up to 28, 50 or 100 but for real mainstream application you really need many thousands of transactions per second, to be flying around for lots of applications”, Buterin concluded. At a conference hosted by TechCrunch and prominent venture capitalist Naval Ravikant, Buterin also emphasized that for blockchain networks to handle IoT, they need to be able to process hundreds of thousands of data points per second. “Uber on average does 12 rides per second, PayPal several hundred, Visa several thousand, major stock exchanges tens of thousands, and in IoT, you’re talking hundreds of thousands per second,” said Buterin. At present, the Ethereum network, which is still significantly more flexible than other networks including bitcoin, can only process six transactions per second. To jump from six transactions per second to hundreds of thousands of transactions per second is clearly unrealistic. In order to cope with this, an unprecedented scalability solution must be implemented. However, even with side chains and second-layer solutions like Plasma or Lightning Network, it is still out of the question for a blockchain to handle hundreds of thousands data points per second. Plasma, an Ethereum scaling solution, could become a practical solution to the severe scalability issues of blockchain networks. It uses multiple blockchain networks that are interconnected with each other, and several aspects of transactions are kept confidential through the usage of Zcash’s ZK-SNARKs cryptographic system. This reduces the size of transactions and ultimately, increases the capacity of the blockchain. “Here [with Plasma], the scalability does not come from the fact that blockchains are relieved from their load by creating a big number of smaller chains and moving the transactions there. Scalability is only achieved once a user does not have to verify every single transaction that is sent to the system,” explained Christian Reitwiessner, Team Lead at Ethereum and Creator of Solidity. Several technology conglomerates, such as IBM, are focused on developing centralized blockchain networks or permissioned ledgers. With the implementation of permissioned blockchain networks, there is a definite trade-off between security and flexibility. Nevertheless, if we hope to implement blockchain technology with IoT in the near future, permissioned blockchain networks are the only realistic solution in terms of scalability. “IBM and AOS, a Colombian company specializing in providing business solutions, are collaborating to create a solution to enhance efficiency in the logistics and transport industry throughout the country, built on IBM Blockchain and Watson IoT. Traditionally, supply chain transactions are completed manually, creating delays and a higher risk for recording error, which can cause differences between what was recorded and what was actually loaded,” wrote Chris O’Connor the General Manager at Internet of Things Offerings for IBM. By 2018 it is likely that major blockchain consortia, such as Hyperledger, Ethereum Enterprise Alliance (EEA), R3CEV, and Axoni, will have attempted to introduce a number of permissioned ledgers to demonstrate the potential of blockchain technology in IoT. In the long term, public blockchain networks will very likely achieve the level of scalability needed to handle IoT networks. However, as Buterin explained, it will take least three to five years to get there.